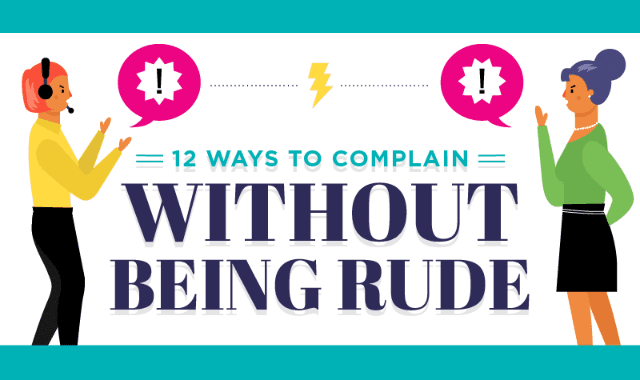 12 Ways to Complain Without Being Rude #Infographic ~ Visualistan '+g+"
Chances are good that at some point, you'll want to complain about something. It could be a cold meal, a faulty touchscreen or a vacation from hell. Whatever the reason, there's no point in doing it unless you're going to win. We've put together these tips to show you how.